The project is implemented by the Pacific Community (SPC) to support national governments and civil society to develop specific strategies for increasing capacity to mainstream gender. Gender mainstreaming is the concept of bringing the goal of gender equality into the mainstream of society, rather than it being dealt with as a separate, segregated issue. In 2012, the project assisted with a stocktake of the Cook Islands Government’s gender mainstreaming. One of the areas identified as a potential entry point of intervention in Government to strengthen capacities, was gender statistics. In August 2014, a regional workshop on gender statistics was organised by SPC and the United Nations Statistics Division. This event identified some priorities for future work, including the production of a core set of gender indicators for the Pacific and the need for regular dialogue between data users and producers to increase the quality and use of gender related statistics and analysis. 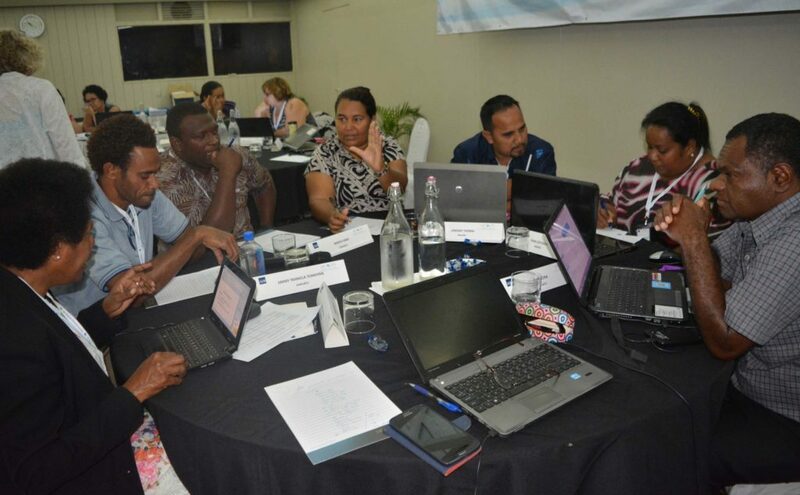 A subsequent workshop in October 2015 built on these outcomes, with a focus on the use of gender statistics for the Post–2015 Development Agenda.1 During the four-day workshop, participants from national statistics offices, national gender equality focal points, national planning offices, NGOs as well as development partners (Pacific Women, SPC and various United Nations agencies), worked together to develop national plans to produce a core set of relevant gender statistics. As a result, the Cook Islands Statistics Office has been reviewing alternative ways of data dissemination, including infographics, as a simple, visual way of displaying complex data to users with relatively low levels of statistical literacy. The Office anticipates that the infographics will spark people’s curiosity, raise awareness about a particular issue, educate on the importance of statistics and data as well as create demand for other statistical products. Using this approach, the Cook Islands Statistics Office is improving the analysis and presentation of gender statistics and improving the use of gender statistics in informed decision making, which were two key aims of the workshop. 1The Post–2015 Development Agenda refers to a process led by the United Nations that aims to help define the future global development framework succeeding the Millennium Development Goals.